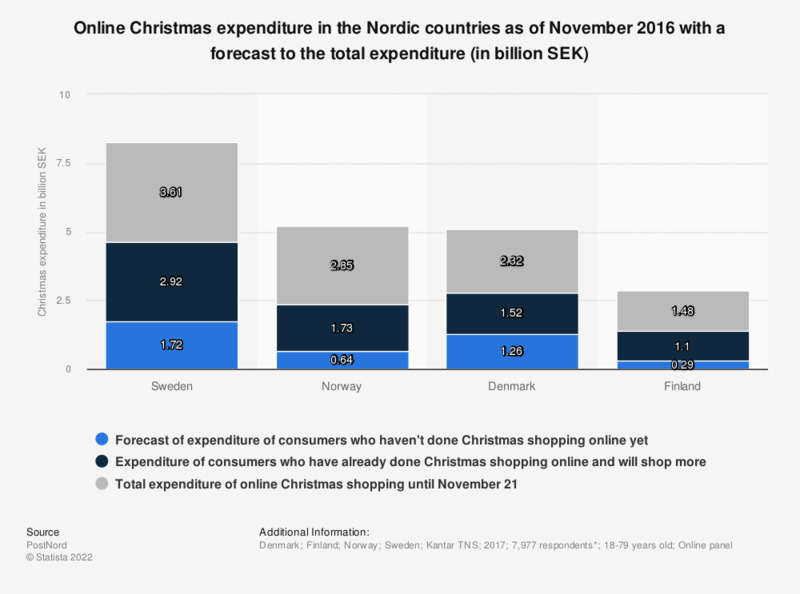 This survey shows the forecast of the total online Christmas expenditure in the Nordic countries in 2016. As of November 2016, consumers in Sweden spent 1.22 billion Swedish kronor on online purchases for Christmas season. * 2,000 respondents were from Sweden, 2,191 from Denmark, 1,999 from Norway and 2,101 from Finland.